The 2015 Subaru Crosstrek gives you everything you ever loved about a Subaru – capable AWD, convenient design, and affordability. When Subaru brought out the wildly successful Impreza and Legacy lines back in the 1990s, both of which always featured a traditional hatchback or wagon, the automaker gave buyers an affordable and convenient-sized vehicle that laughed off snow and gave you a fighting chance on ice. 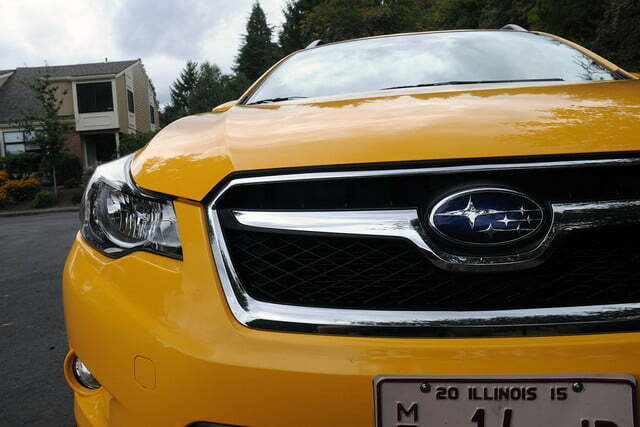 Over the last 40 years, that has earned the Subaru brand a loyal following across America. Anywhere people experience winter weather worthy of the name, you’ll find Subaru is a popular choice. 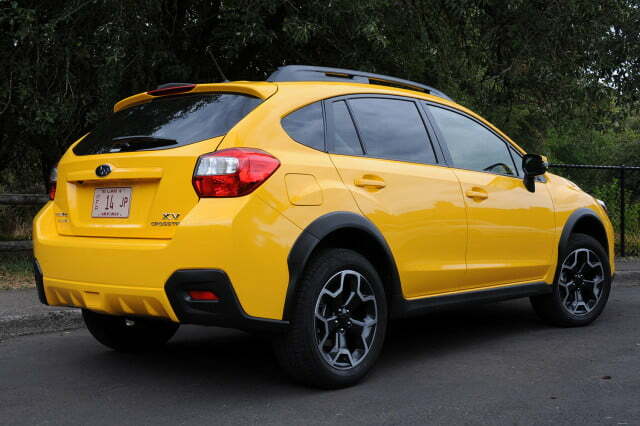 Unlike prior generations of Subaru, however, the XV Crosstrek competes in an ever-growing field of compact crossovers. Contenders like the Mazda CX-3, Honda HR-V, Nissan Juke, and Chevrolet Trax are all vying for your attention. Even Lexus is offering a compact SUV this year. So why should you consider the Subaru? The appeal is simple: it’s the right size for what you need to do. Subaru made all-wheel-drive the signature feature of their vehicles starting way back in 1974. At the time, offering 4WD/AWD on a passenger car was nearly unheard-of – even Audi had not yet brought out their original Quattro, and AMC’s star-crossed AWD Eagle was circling the drain. 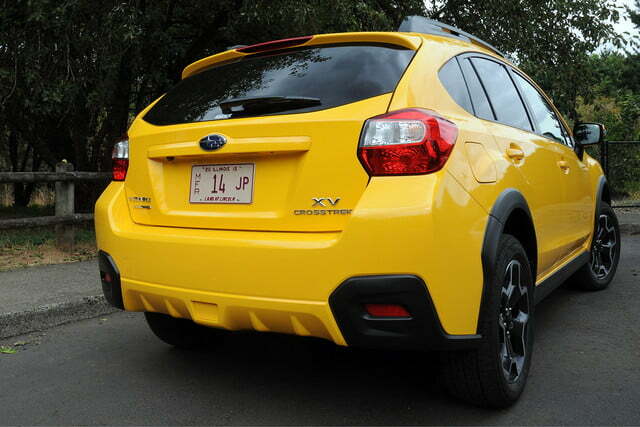 Its popular Impreza platform continues to this day, and that’s where the XV Crosstrek comes in. Just as the Outback crossover was developed as a more trail-capable version of the Legacy wagon, the Crosstrek is a rough country version of the current generation Impreza hatchback. Both the Outback and the Forester have grown into larger vehicles, and the active urban market needs something that takes up a little less space while still offering the ability to head for the slopes or the woods with confidence. It can even tow up to 1,500 pounds, though it’ll do so slowly in the right lane. 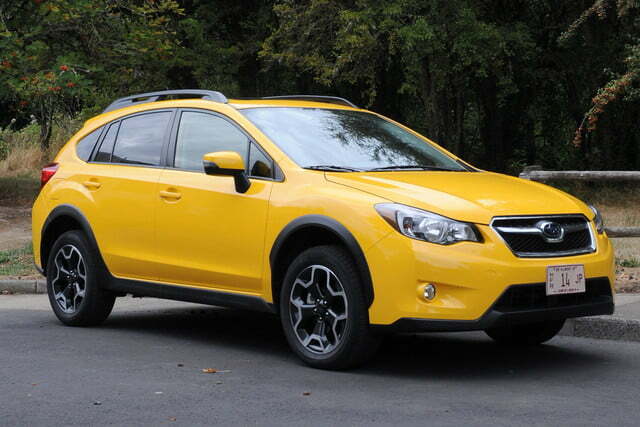 The Crosstrek uses the same 2.0-liter flat-opposed four-cylinder engine found in the Impreza. This engine delivers 148 horsepower and 145 pound-feet of torque, and it’s the only engine offered in the Crosstrek (although you can opt for the hybrid if you want). The best way to describe this engine is “adequate” because it will provide you with enough power to be happy about 90% of the time. The other 10% you’ll wish for about 50 more horsepower because we’ve all been spoiled by turbocharged cars and we expect plenty of passing power. 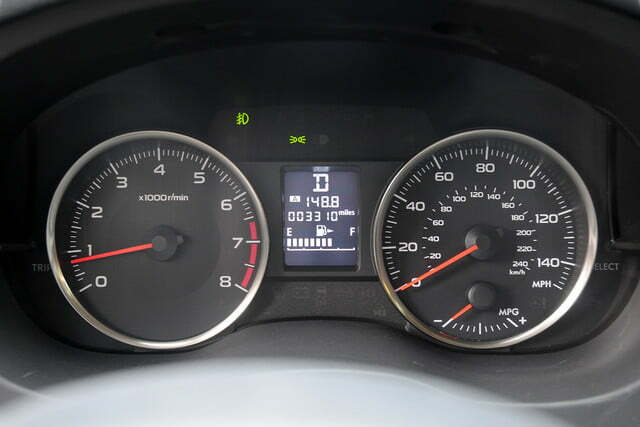 Modest engine power is acceptable if you get your Crosstrek with the five-speed manual transmission, because when you’re rowing your own gears, you can make best use of the available power at the expense of your fuel economy. The monochrome malaise that has taken hold of the automotive industry in recent years has no influence on this car. But fuel economy concerns have led Subaru (along with many other automakers) to exchange their automatic options for a continuously variable transmission (CVT). 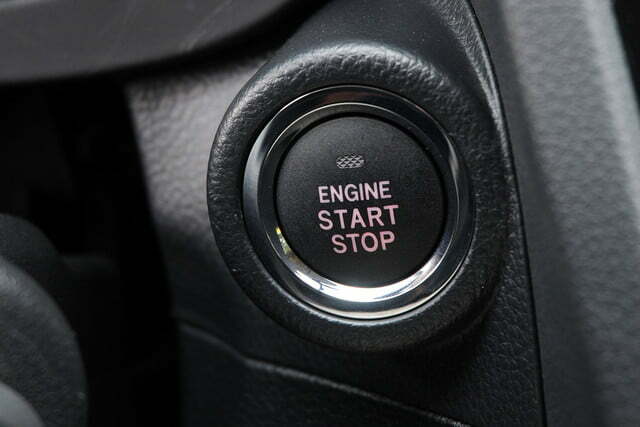 The CVT is great at increasing your fuel economy, but the driving experience is still lacking. 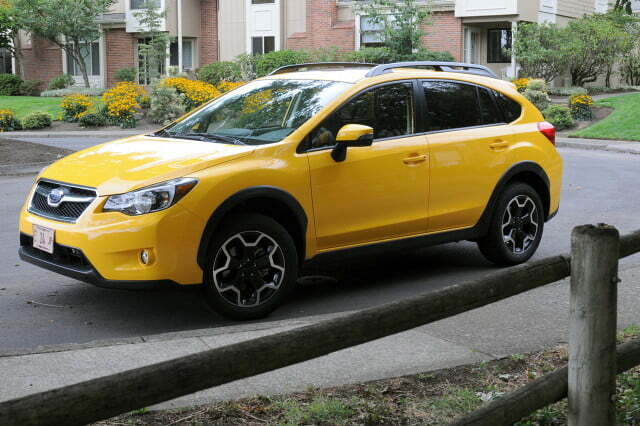 The CVT will make you hope and pray for the day that Subaru delivers the STI turbocharged version of the Crosstrek. All models of the Crosstrek feature AWD, and the main thing to note is that the system in the Crosstrek is the same proven Symmetrical All Wheel Drive that Subaru has been using for years. The only time you’ll notice the Crosstrek’s AWD is when you’re smirking while watching everyone else slide off the road in a quarter-inch of snow. 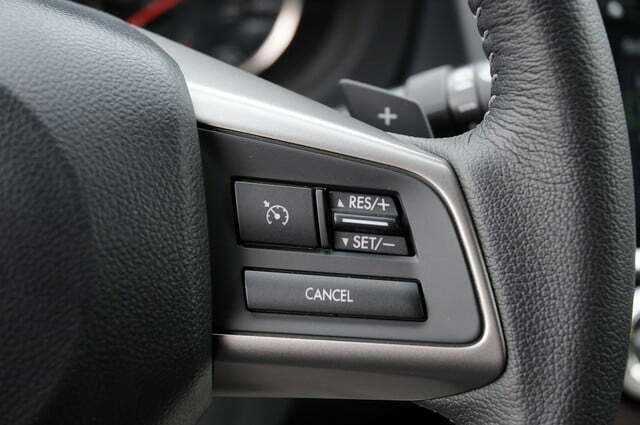 The Crosstrek comes with a viscous center diff on manual transmission cars, and a multi-plate clutch limited slip device on the CVT-equipped cars. 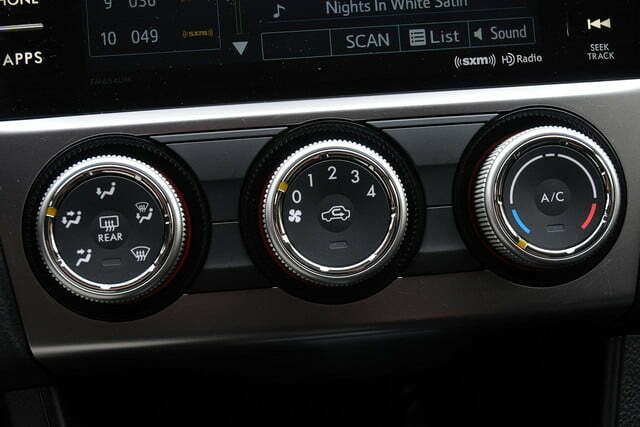 Either system works well for delivering plenty of torque to the wheels with grip when conditions are at their worst. 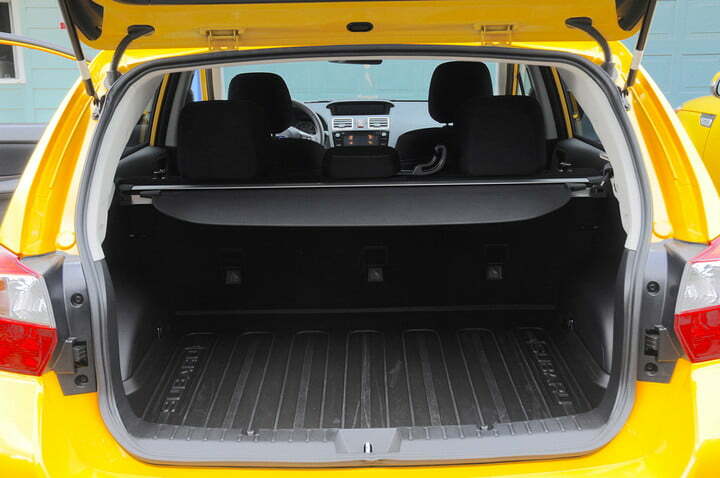 As mentioned, the Crosstrek comes with the same body and about the same interior as the Impreza, and the difference between the two vehicles is mainly found in the suspension. You get 8.7 inches of ground clearance with the Crosstrek, and that helps the car deliver better off-pavement capability. The approach, break-over, and departure angles are all good, but what you’ll notice is that the Crosstrek easily handles any trail that a reasonable person would attempt. 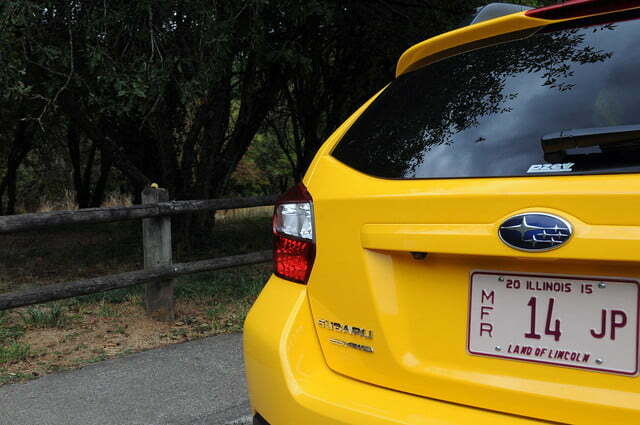 However, even the most adventurous Subaru owner spends almost all their driving time on pavement. That points up the true genius of the Crosstrek – you don’t give up much, if anything, in on-road handling with the Crosstrek’s taller and tougher suspension. The Crosstrek has great urban manners and it can easily be your only car. 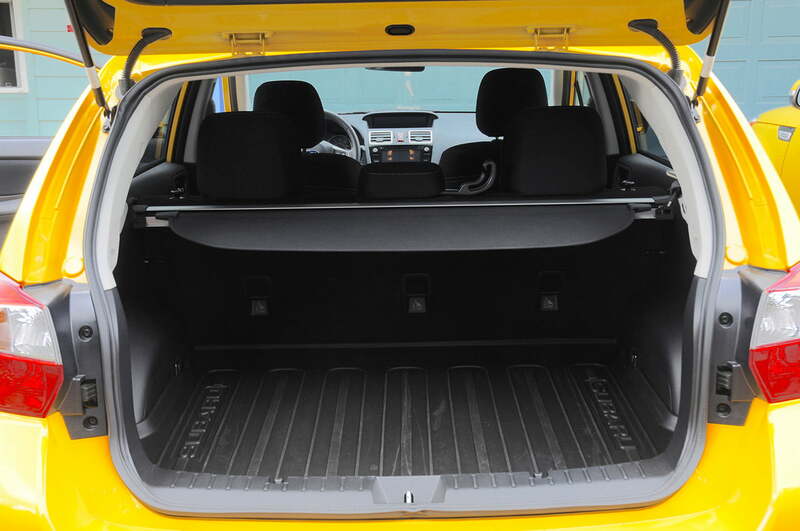 With the cavernous storage in the back, the Crosstrek is equally well-suited for a trip to Home Depot or to the remote desert. The technology story on the Crosstrek is typical of a modern economy car – you get a suite of features that would have been limited to top-of-the-line luxury and sports cars just a decade ago. Rearview camera, Bluetooth, available navigation, USB – it’s all there. 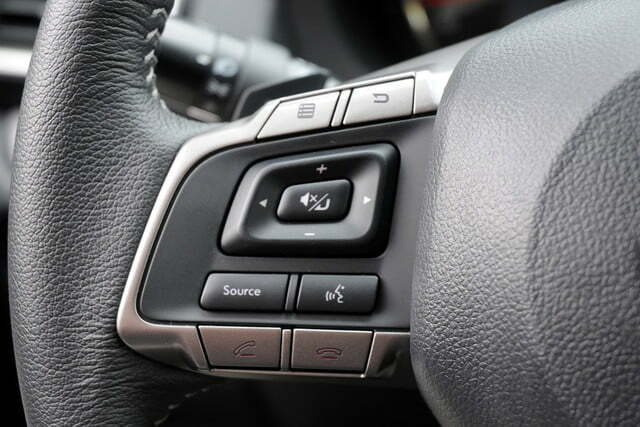 You also get Subaru’s Starlink system – a smartphone integration system with a suite of supported apps. So you can be connected, convenient, and comfortable – and you can laugh off the more expensive AWD crossovers out there. 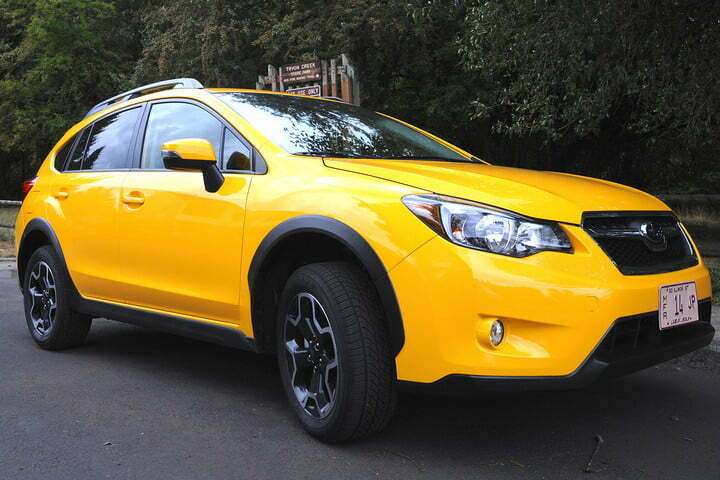 There’s one last thing to love – you can get the Crosstrek in a variety of bold colors. The monochrome malaise that has taken hold of the automotive industry in recent years has no influence on this car. You can choose from tonka truck yellow or halloween orange, deep sea blue, really really red, and even the weird olive-greenish color looks great. None of those are Subaru’s official color names, but you get the idea. If you don’t have a roof pod of some kind, you risk being shunned by other Crosstrek owners. Weathertech makes great mats that are accurately designed and made to fit the Crosstrek. 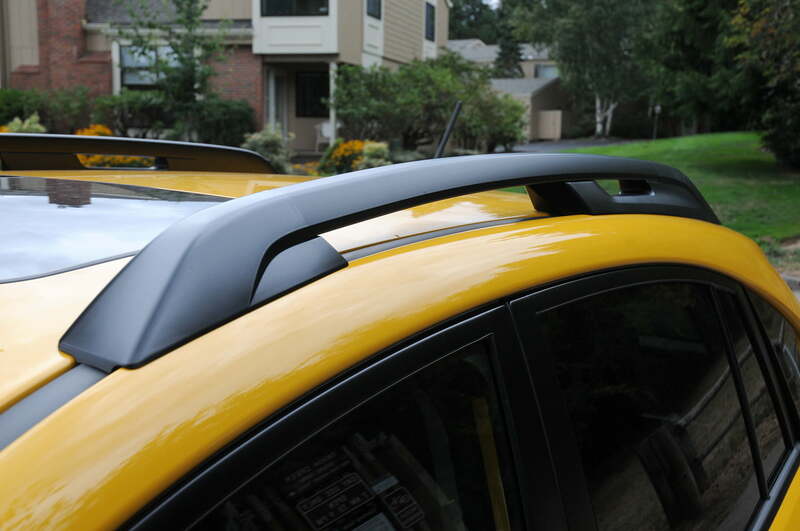 You’ll need to add a tow hitch to make use of the Crosstrek’s 1,500-pound towing capacity. Adding a 110-Volt power outlet to your Crosstrek can be handy when camping or on the road. The 2015 Subaru XV Crosstrek starts at $21,595, and that gets you the five-speed manual gearbox and a well-appointed car with rearview camera, 6.2-inch touchscreen HD audio system with Subaru’s Starlink smartphone integration, 1,500 pounds of towing capacity, plus vehicle dynamics and traction controls. The price spread on the Crosstrek line is so slim, however, you might as well upgrade. For $24,795, you can get into the top 2.0i Limited edition, which adds the Lineartronic CVT with paddle shifters, heated leather seats, automatic climate control, and color LCD instruments over the base model. 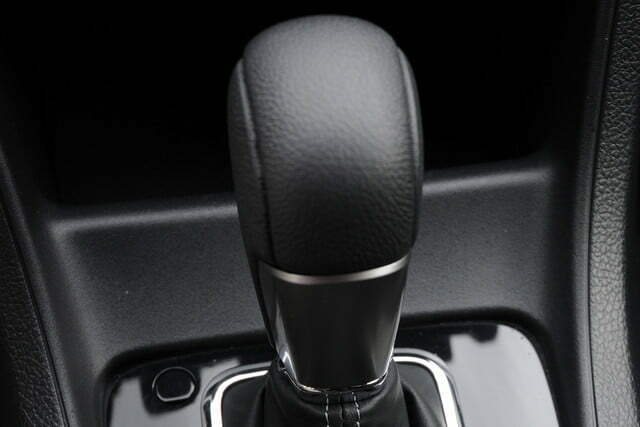 If I was spending my own money (and for the record, the Crosstrek is a short-list car for me) I’d choose the mid-grade Premium trim with the five-speed transmission. 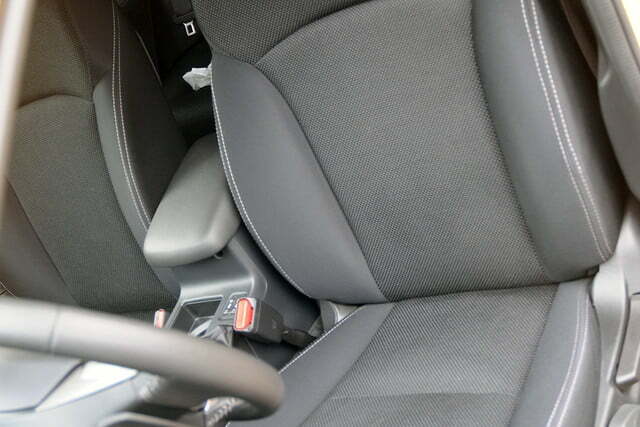 I’d do without the leather, but still get the heated seats, and all the other important stuff is there for $22,295. If you want slightly better fuel economy and a little more horsepower, the Crosstrek also comes as a hybrid, ranging from $25,995 to $29,225 with about the same differences in standard equipment across the price range. You get 160 horsepower with the electric motor and the gas engine combined, and 163 pound-feet of torque. That’s not a lot more, but just enough to give the car a little more push where it’s needed. If you’ve owned a Subaru in the last 25 years, the 2015 (soon to be 2016) Subaru XV Crosstrek will deliver everything you loved about those cars, except for the torque you came to expect from the larger displacement and turbocharged engines. If you love the outdoor lifestyle but have never owned a Subaru, the Crosstrek will help you understand why this brand has such a loyal – verging on religious – following. 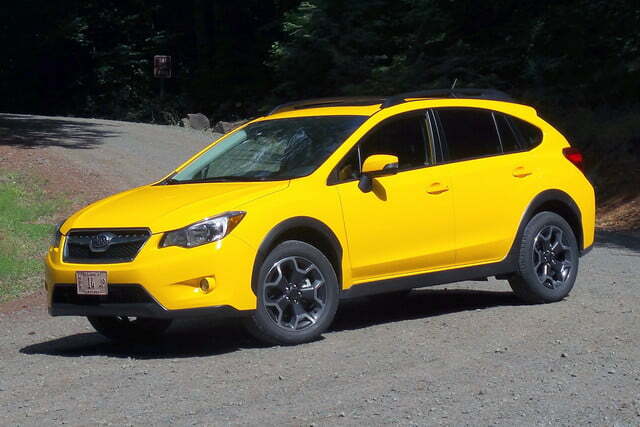 If you’re shopping the compact crossover market this year, make sure the Subaru XV Crosstrek is on your list.